The naan bread recipe is a flatbread recipe that is popular in Southern, Western and Central Asia. 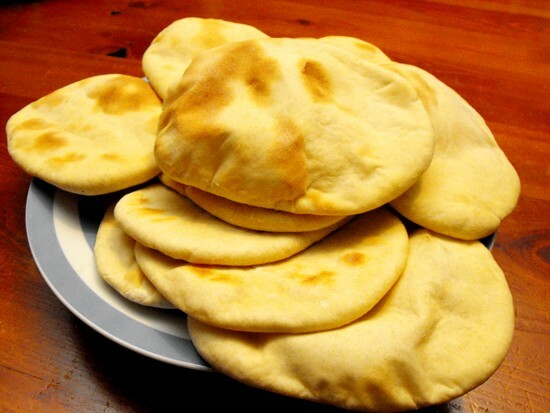 It is similar to pita bread, which is a flatbread that is widely prepared in the Middle East, in the Mediterranean and in Balkan countries. The main difference between naan bread and pita bread is that naan bread is prepared with milk which softens the bread. Naan bread is used to scoop curries, but can also be topped with various toppings consisting of cheese, meat or vegetables. Filled it makes a great addition for a school lunch box. Measure the spelt flour into a bowl and form a well in the centre. Into the well add the half teaspoon of dried yeast and the cup of milk. The luke warm milk speeds up the leavening process. Around the side add the two tablespoons of coconut or vegetable oil and the salt and knead the dough. 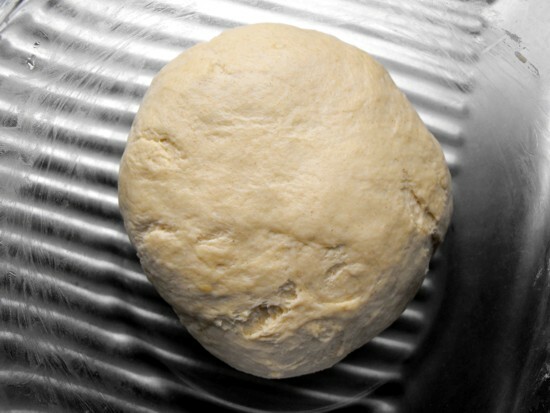 Work the dough until you have a smooth outcome make sure to work all of the flour that ends to stick at the sides in. 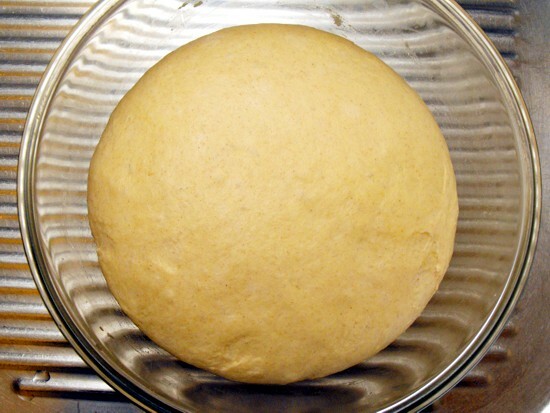 If the dough remains sticky after about five minutes of kneading add a tablespoon or two of flour. Work it into the dough. 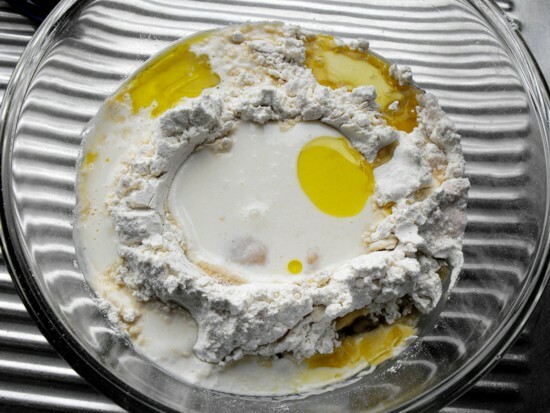 When you have a nice smooth non-sticky mass take the ball of dough and coat the surface of the bowl with a bit of oil to prevent the dough from sticking and let it rest covered in a warm place until it has doubled in size. This step may take 2 hours or more. After the rising time punch the dough back and split it into 8-10 equal portions to form balls and roll them into flat round or oval shapes. Some additional flour is required for this. You can rest them side by side with sufficient flour underneath until you are ready to oven-bake or pan-bake them. You have not enough baking sheets or flat forms to prepare all your breads in one go for baking? Put as many as would fit on a baking sheet on a baking paper cover it with one baking paper to top it with the next set of prepared naan breads until all your dough is rolled out and prepared then you can bake them one level after another by sliding them onto your baking sheet. Should you decide to use your oven to bake the naan bread preheat your oven to 230C° (convert). Place the breads with some space in between onto a flat baking sheet and let rest for about 20 minutes. 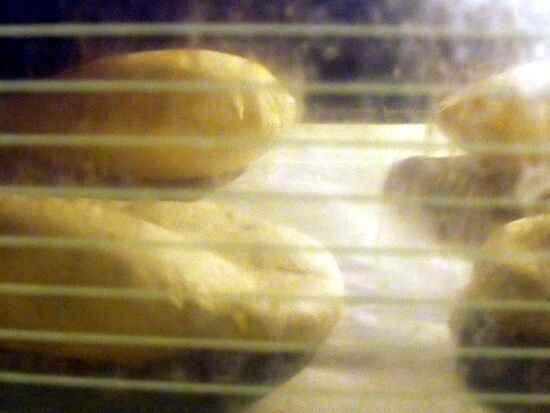 Bake them for 12 minutes at 230C° or until a golden colour starts to show. Then take them out immediately. The lighter the bread colour is the softer the result and the darker the crunchier. The high temperature lets the flat breads puff up beautifully. Keep in mind that each oven gives slightly different results, therefore keep an eye on the oven when you bake them the first time. When they turn too dark the breads become crunchy. 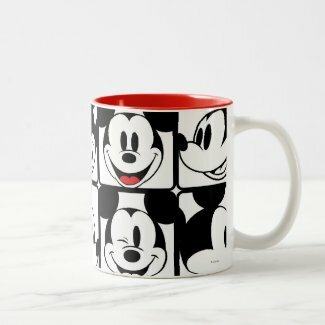 This method works well too but has one big disadvantage. The kitchen gets quite smoky by the time you have reached the tenth naan bread. Heat the pan at a medium to high heat before the first flatbread is placed in. With a hot enough pan no oil is needed. If the heat is not sufficient the flatbread will stick to the pan and it will need to be cleaned before the next one is placed in. Test to see if the pan is hot by dribbling a drop of water into it. When the water dances in the pan it is hot enough to place the first naan bread in. Bake each side for a couple of minutes. Stack the finished flatbreads on a plate. What is your favourite curry to go with the naan bread recipe?